With the daylight hours getting longer and the sun shining brighter our energy and enthusiasm for all things exercise naturally peaks. And of all the summer sports, the one we associate with sunshine and strawberries – tennis – is one of the most accessible and beneficial. Here are seven great reasons to play tennis and why a weekly game outdoors at the end of the day will set you up for summer. Most medium to large-sized public parks in the UK have tennis courts – Surrey tops the league with 158 public courts and according to tennishub.co.uk every county in the UK has at least one court, typically proportional to population. Added to which most towns have independent tennis clubs and many health clubs have tennis facilities too, many of which are available for hire. So, if you pass a park or a club on your way home from work, you can pull over to play tennis, let the traffic die down and finish your journey after the rush. To play tennis you only need two players so on the one hand the organisation of a game is relatively easy and on the other, because you’re committed to another person, you’re less likely to duck out of the game. So as soon as you’ve found a park, find a partner and play. The ideal is to match yourself with someone at a similar skill level. For any beginner playing with a friend is always a great way to spend time together. But if you’re a good player, going the club route to find a partner is probably going to secure you a better game. A racket and balls takes very little room so you can carry it to work if you walk or use public transport and it won’t prevent you from taking a passenger if it’s in your car. Like all sports, you can spend loads of money on the gear, but if you’re new you can get a good racket and decent balls relatively cheaply. Generic sports gear is fine for on-court clothing and footwear when you start, although once you get a little more serious about the game a racket that suits your swing and shoes designed for the tennis court are worthwhile investments. Check out our extensive range of tennis equipment in our online store here including rackets and bags from as little as £20! 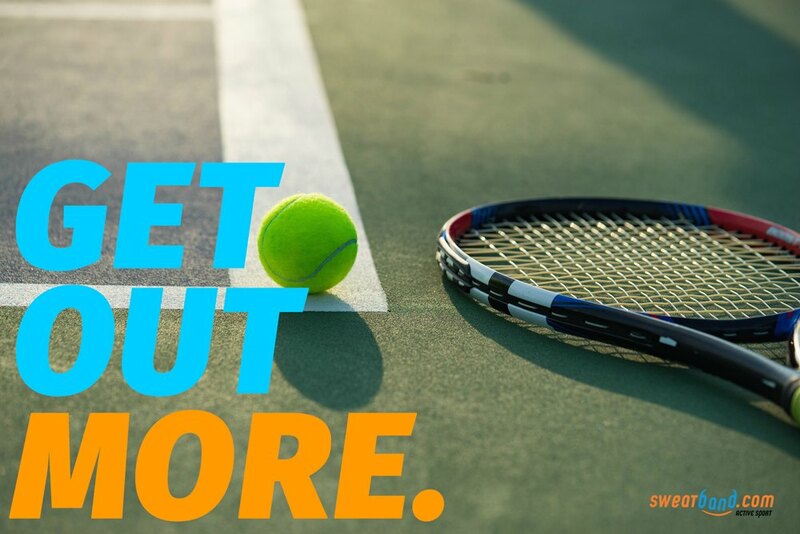 It’s estimated that an hour of tennis will burn 414 calories – making it a great workout. Tennis is varied intensity sport – slow and strong for your serves, speed and agility to get to the ball to return it and the occasional slow walk when you change ends. Because of this your heart rate and the source of your calories will vary through the game much like a HIIT workout. In addition, because that hour will be filled with surprises, it will pass way faster than the more structured exercise activities like spinning and the more repetitive sports like running. The key to ensuring the calories are high is getting a well-matched partner; if you’re too skilful compared to your opposition they’ll do all the running. Of course, the upside of being the worst player is you’ll probably lose the match but win the calorie contest! Through the course of a good tennis game the body moves in all directions and assumes an incredible variety of positions. The torso twists when you serve, the shoulders rotate for serves, swings and back hands. You lunge low to get the ball off a bounce and you jump high to slam it over the net. 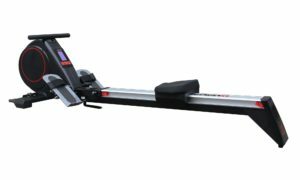 Collectively this makes the sport an all-over body workout – as you’ll notice the day after you play when the DOMS (Delayed Onset Muscle Soreness) kicks in! Playing outdoors has further benefits, fresh air in your lungs and sun on your skin is great for your mood and your body. If you manage a game a week for six weeks you may notice your body even begins to crave the activity. So repetitive play will not only make you fitter and improve your game it will boost your motivation and your mindset. During the winter months it’s common to go home early, eat more food and drink more alcohol. And when the summer arrives it’s very tempting to carry on with these habits in an outdoor environment. Taking up tennis is a great way to combat the temptations of after-work drinks. Those that do get a double bonus – fewer calories eaten and more calories used up. So much so that even if they agree to the occasional tipple with the gang from the office, they’ll have earned it! So there are few excuses and many benefits. It’s time to dust down your racket and play.